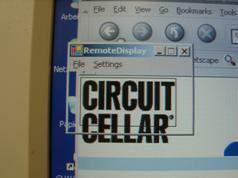 The PC Remote Display is connected serially to a PC. 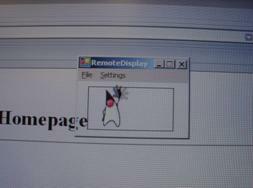 A small tool on the PC is periodically taking screenshots of parts of the desktop and sending these to the Remote Display which is displaying it. 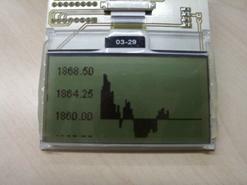 The Display is connected by a 8-Bit databus and 4 control lines. It is attached to the contest kit like shown on the table below. 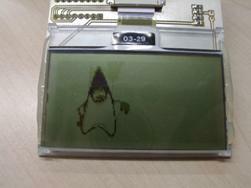 The display only needs some capacitors to generate the desired voltages to drive the LCD. All other parts are integrated in the chip on glass. 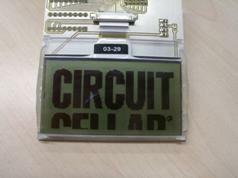 Heart of the display is a Samsung ICS6B0724 driver IC. 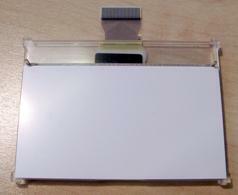 The display has a resolutiuon of 128x64 Pixels and an integrated green LED-Backlight. It has 1kB RAM to hold the whole screen area, which can be written and read. The displayed area is divided into 8 lines or pages. Each page is divided into 128 columns of 8 Bits. Its possible to read/write the columns in a random order. For softwaredevoloping, the delivered tool ZDS II  eZ80Acclaim! was used. I used the StarterProject in the Samples-Directory as a basis for my project. 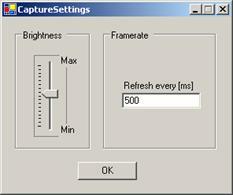 After the building process in release mode, the image can be flashed into the eZ80. To use the timer and serial interface in a nice way, its necessary to fire events if a defined time has elapsed or a character was received. Firstly we need the vector addresses of the desired interrupt sources from the hardware manual and define it in the code. Then we need these forward declarations. After the registers of the timer and uart are properly set up, we can assign the IRQ-Functions to the vectors. Last but not least, the irqs can be activated. The timer is initialized to fire every 10ms. Firstly the IIR-Register must be read to clear the interrupt flag. Now it is checked if the SerialTimeout-Counter is already on the max. If not, it is incremented. If the SerialTimeout is over 2 counts (3 counts = 30ms), we are in the timeout condition and the bytecounter for the display data is reset. This occurs if a person unplugs the serial cable while a picture is receiving. Then the timeout resets the bytecounter count and after plugging the cable, the next picture can be received perfectly. The SerialTimeout is reset by an uart-interrupt if a character was received. In the UART Interrupt the data for the display is received. If the interrupt has fired, the received character can be copied from the RBR register into the PictureBuffer. The bytecounter-variable count is incremented by 1 so the next received character is stored in the right position in the PictureBuffer. The SerialTimeout-variable is reset each time a character is received. If count has the same value as the length of the PictureBuffer (8 Pages * 128 Columns = 1024), the picture is complete. A flag (NewPicture) is set to tell the main loop that a new picture is available. ) is the most used. 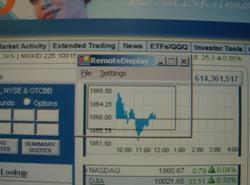 We set the cursor (memory pointer) to the desired page and column and then write the new databyte to this location. The parameter PE1 is the bitposition, where the enable-signal is connected to the microcontroller. This is useful if displays with two display-controllers are connected. In this configuration it is always PE1. 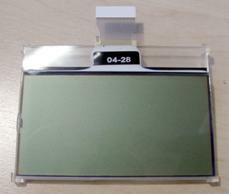 All instructions of the display are listed on page 35 of the Samsung S6B0724 datasheet. After startup, some initializations are made to set up the timer, uart and show a startpicture on the LCD. If a new picture is available (NewPicture != 0), the array PictureBuffer can be sent byte by byte to the display. After that, the flag NewPicture is reset. If for more than 10 seconds no data was received, a standard pictured will be showed. The PC Software is written in Microsoft Visual Studio .NET with the programming language C#. Its required to have installed the freely available .NET framework from Microsoft to run the .exe. For taking the screenshots, I used the component ImageCapture from the codeproject website. 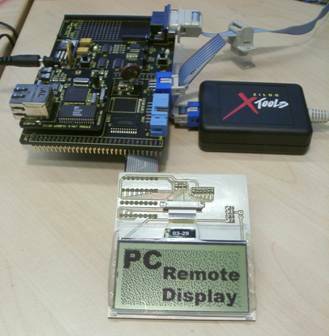 Code to communicate via RS232 was found on the GotDotNet website.